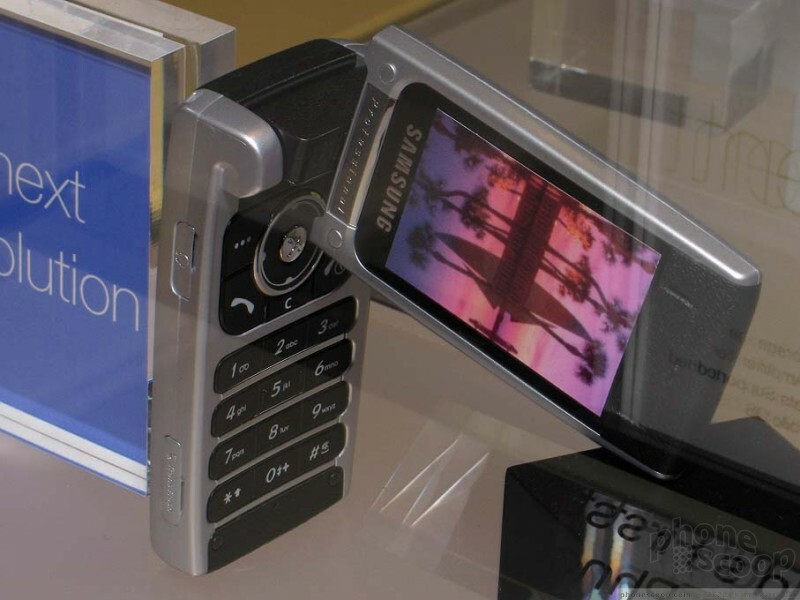 Another exciting new Samsung phone we managed to snap photos of recently is the P857, a phone based on the P850 that was revealed at CeBIT last year, and the P858 that was recently approved by the FCC. 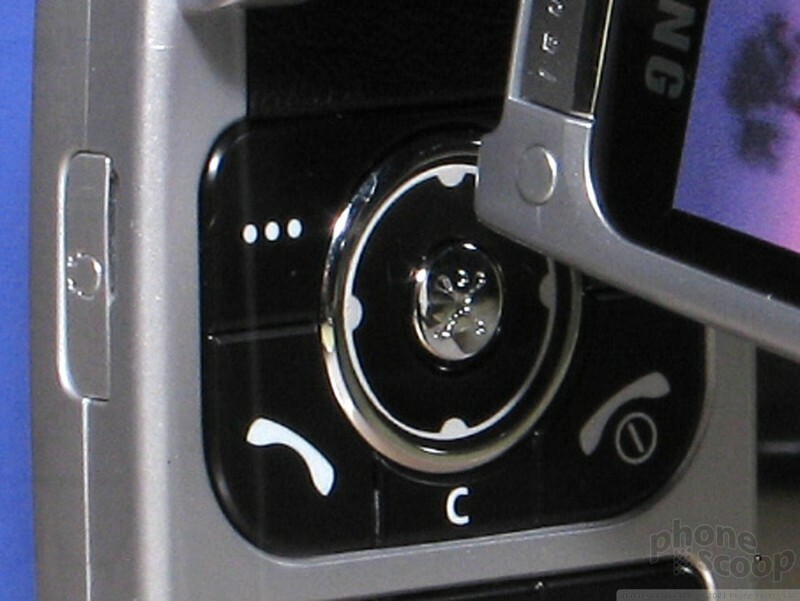 As we reported a month ago, we expect the P857 to be a very similar high-end, multi-megapixel camera phone for the U.S.
What's new is that the version shown in the photos above clearly has a Cingular logo on the keypad, confirming that this is the P857 version, and it's headed to Cingular. 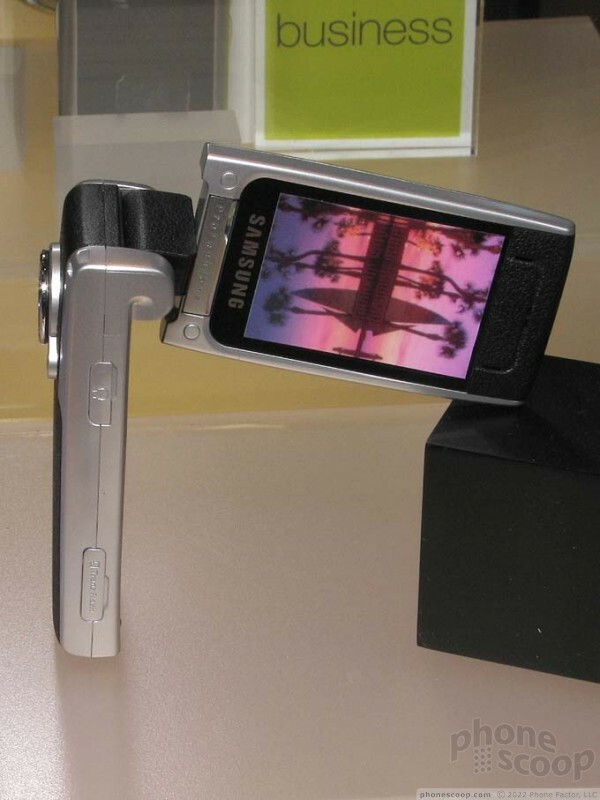 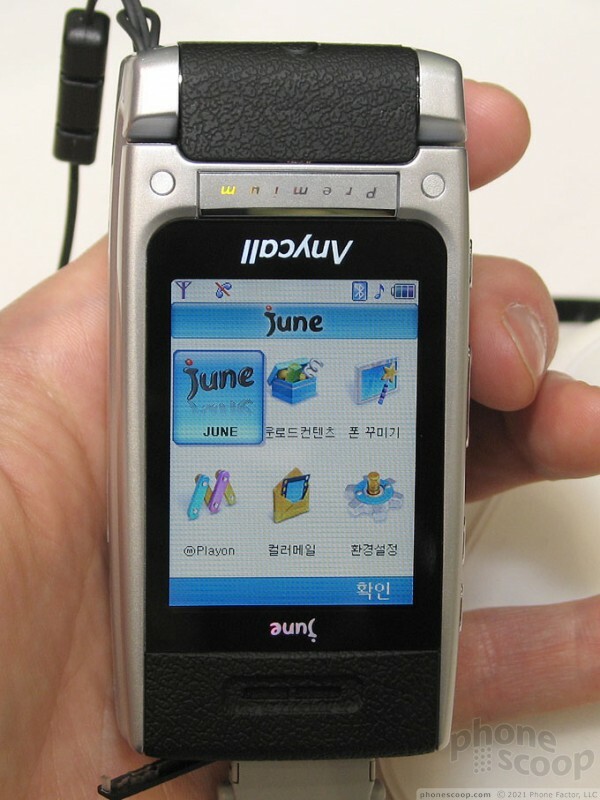 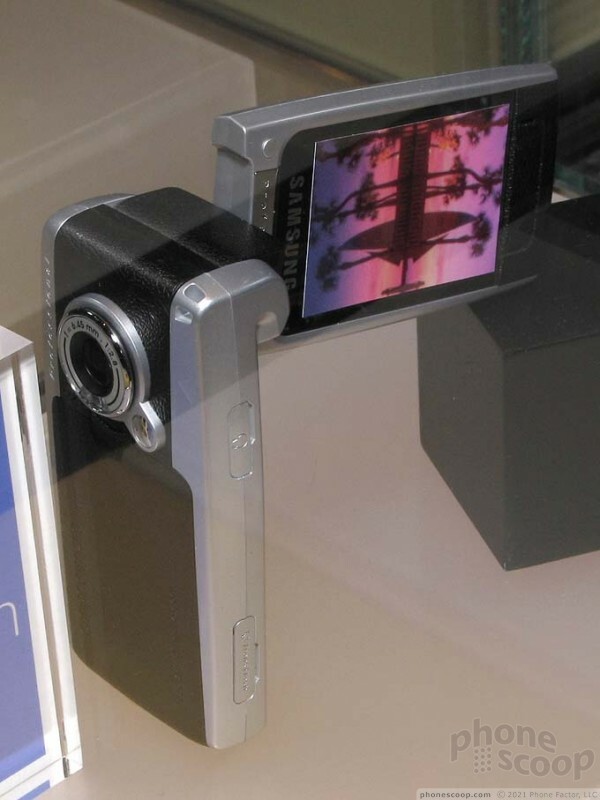 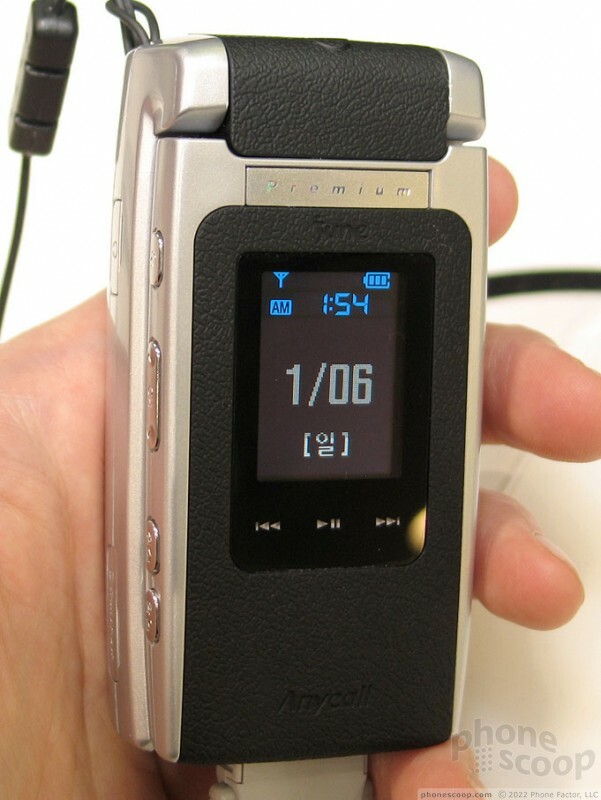 As on other phones with a similar twisting hinge, the display can be folded facing out, making the photo-taking experience exactly like that of a standalone digital camera. 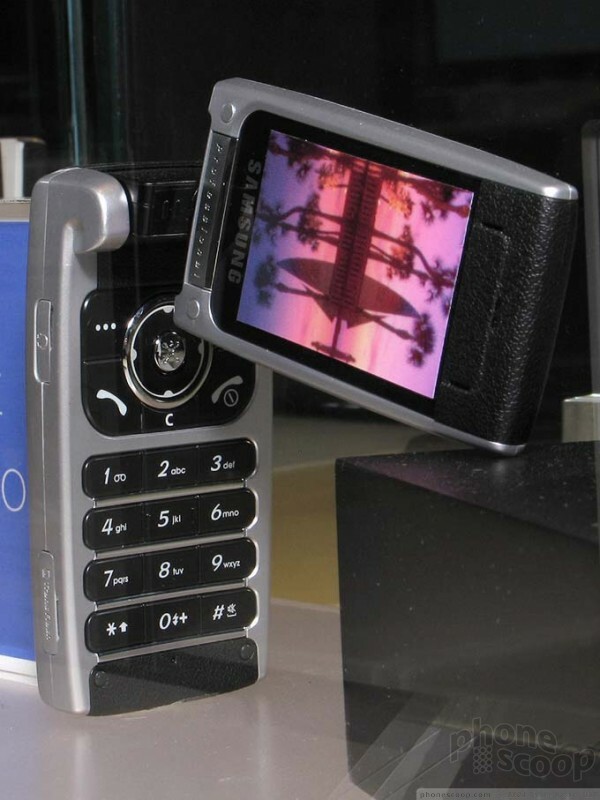 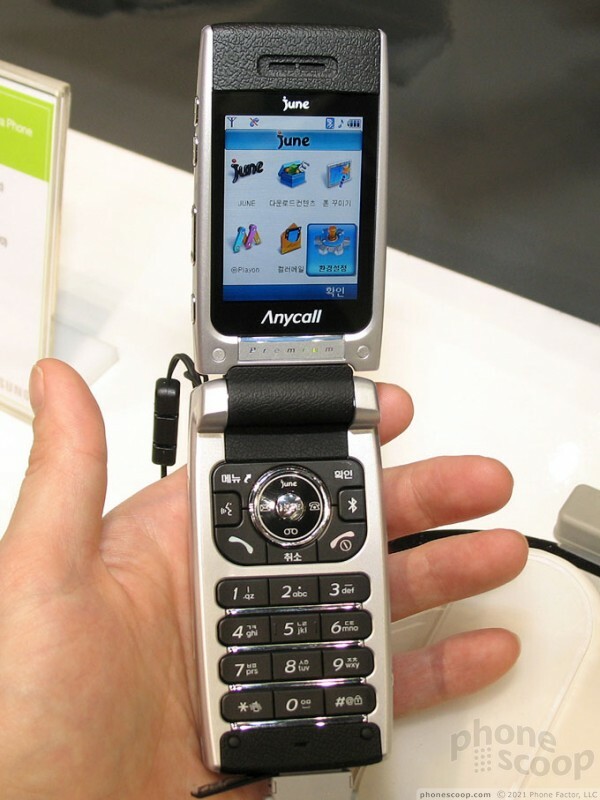 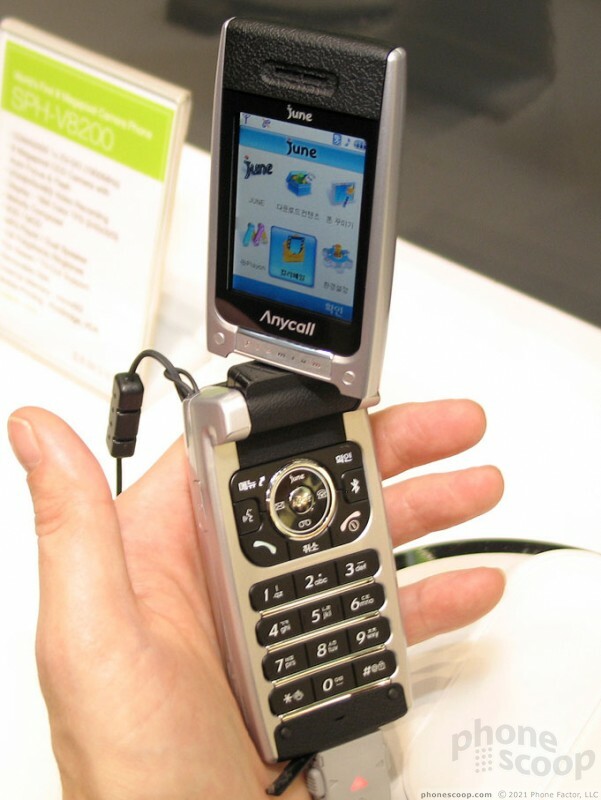 The European version of this phone - the P850 - has a 3 megapixel camera module. 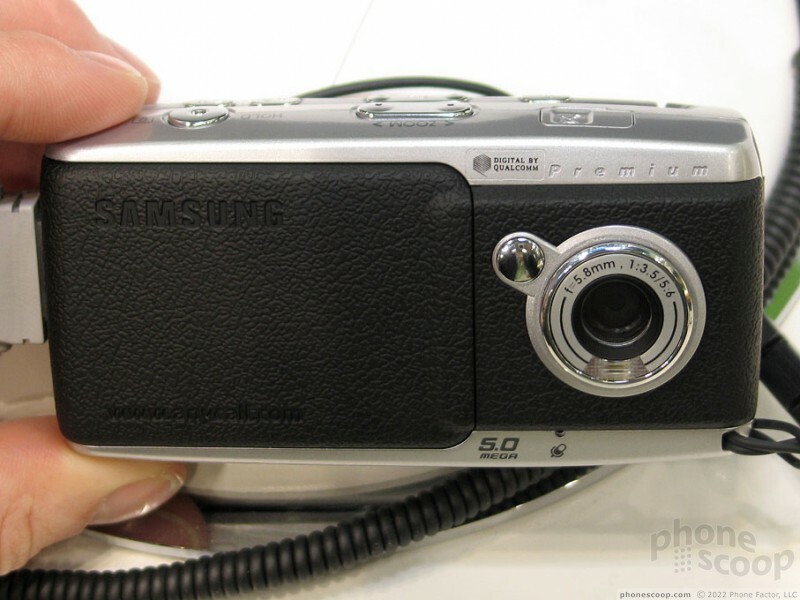 We assume the P857 will have a similar camera, although the megapixel count wasn't printed on the version we saw, and it's possible the U.S. version will have slightly different specs.